As you may have seen or hear me state previously, the fact is there is no difference between our inner world’s and our outer world’s. Some would call the apparent reality of an ‘inner world’ and an ‘outer world’ duality. And some still would say that what we perceive as duality, or this and that, is actually an ILLUSION, and that all there is is ONE consciousness, which we really are. The outer world we see and perceive is actually a projection of our deeper minds. But what we see happening around us in our lives both on a personal scale in our day to day lives, as well as the world we see around us in places like the news, is there for a REASON. The things we see and experience are trying to tell us something about what’s going on DEEP WITHIN US. If we are able to become aware of this and to start to be on the look out for ‘outer’ clues as to what’s going on within us, we can actually take back the power of our minds, find real joy within ourselves, and straighten out our outer world’s at the same time. In other words: when you change your inner world, your outer world will change accordingly. Some of a more Christian persuasion might be thinking to themselves that this is nothing but ‘new age’ nonsense or something of the sort. And yet did Jesus himself not advise to, “judge not lest we judge ourselves”? And how can we judge ourselves if we are judging others? Perhaps because Jesus was trying to tell us that what we see around us in our brothers and sisters specifically IS us. From Delusion to Truth is unique in that we will be exploring ourselves inwardly while also exploring the things which are happening in our outer world’s and in the world as a whole. The things discussed here if we are talking about news related issues or things like a dark cabal scheming to take over the world for example, is ACTUALLY designed for us to gain a deeper awareness of ourselves, to be able to change our inner world’s, and then to TRULY be able to change our outer worlds. Of course, if you’d just like to watch the material presented and don’t feel drawn to do any deeper inner work on yourself, that’s perfectly fine too. Make sense? I know it might seem a little strange at first, but if you follow my channel and the works that will follow I promise it will all fall into place. So bringing delusion to truth is the goal of the site, the being tree model is sort of a road map as to how to actually do this, and in the not too distant future there will be something of a personal development process I developed called The Whole Life Solution that will allow you to tap into and change your inner world’s directly so as to change your outer world. What is The Being Tree? The Being Tree is a philosophical and conceptualization of what we call the self. Similar to what we’d call the inner child, this model takes into consideration every aspect of our being including our emotional self and even our spiritual self. It is a model that shows how every aspect of our being, both seen and unseen are connected and work together. 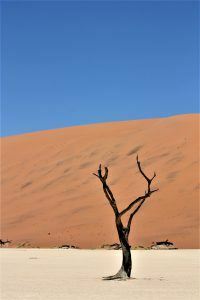 The soil that The Being Tree is in represents the mind in all of it’s aspects: unconscious, subconscious and conscious. This is what could also be called the shadow for those who are familiar with shadow work. The roots of The Being Tree represent the physical aspect of our being or our bodies, and is where nutrients are absorbed up into the whole tree. Of course, this does not only apply merely to nutrients in the form of food and water, but to mental nutrients as well. This reflects our subconscious conditioning, our mental image of ourselves as a whole, and how we see ourselves, as well as our core beliefs and self talk. 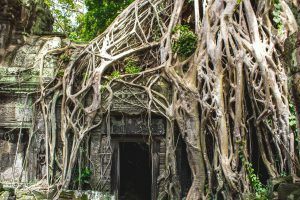 The trunk of The Being Tree, or our core self, represents our emotional self and is the core connection between all other aspects of our being. The branches represent our social self and every aspect of our relationships to others, and the leaves, flowers, and fruits of The Being Tree represent our higher spiritual self. 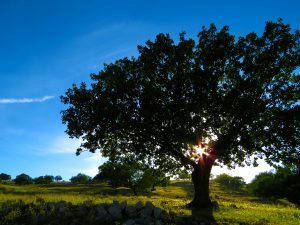 Those with healthy Being Trees are well rooted, having healthy thought processes, a strong sense of self, and enjoy connecting with others along with growing and achieving goals. They are those who are able not to just live but to thrive. On the other hand, some of us have no inclination of our inner selves or Being Trees, and believe that life is simply one obstacle after the next filled with pain and uncertainty. These souls have Being Trees that are stunted in their growth, perhaps due to lack of nutrients, water, air, or access to the light of the sun in the form of emotional, mental, and spiritual nourishment. They may have even been damaged by outside forces either knowingly or unknowingly from various abusive people or situations. For those with healthy Being Trees, their goal is to continue to grow and expand in joy and success, and even to reach into the farthest reaches of their being and realize their truest deepest self. This of course is the same goal for those with stunted Being Trees, but a process of healing and rejuvenation is essential before these Being Trees are able to flourish, which is something that the soon to come Whole Life Solution process will be able to help with tremendously. The conceptual model of The Being Tree along with The Whole Life Solution itself is the result of my own journey spanning my entire life to understand the root cause of my own suffering, as well as the suffering of humanity, and how to make things easier for people. So That’s The Being Tree! I have seen many therapists and have studied and learned from some of the world’s greatest teachers, healers, and guides throughout my life. Not only that, I myself experienced a great deal of what is called narcissistic abuse growing up in my household, and much emotional abuse and neglect leading me to develop what’s called cptsd or complex post traumatic stress disorder. And for one reason or another, none of the therapists or doctors I ever saw ever mentioned anything about childhood trauma, emotional abuse, or complex ptsd let alone how to heal from it. This process I developed was in large part my own journey to learn how to heal myself. However, I also felt that a few things were missing in each area of personal development and growth that I experienced and I wanted to create something that addressed every area of our being and that also brought them all together conceptually. For example, if some schools of thoughts focused on emotional healing, they did not focus on the larger aspect of our spirituality, and vice versa. After my years of experience, learning, and experimenting with different models that more effectively address these issues that I experienced, I am thrilled to be able to share with you that I have created something that not only makes sense conceptually but that also works, and is something that each person can safely do on their own. Of course if you are in therapy or would like to find a therapist, what I have created here is something that is quite complementary to such therapy. I know that if you choose to discover the method of acknowledging, healing, and cultivating your own Being Tree, you’ll find real joy within you and be able to discover that you really can control your destiny.